Is your practice moving like a rudderless boat; not sure of its direction or destination? Does your practice leadership all agree 100% on the best course for the practice? If not, then it’s time to lose the rose-colored glasses. Develop a clear, defined vision statement for your practice. Because a strong vision statement can act as the compass to facilitate setting the course to success for your practice. A vision statement is developed by a practice as an expression of its ultimate aim as a clinical and business enterprise. However, please do not confuse a vision statement with a mission statement. Because they are two distinct statements, both are the foundation for a practice’s success. A mission statement identifies a practice’s purpose or why it exists. It deals with today, the now. While a practice’s core purpose is embodied in its vision statement, the vision statement pushes the purpose further. It is destination driven to the “where do we want to go?” question. Thus the vision statement embodies the organization’s vision of itself in the future. Confusing? Below are four examples of Vision and Mission statements of successful companies. Therefore, see if you notice the difference. 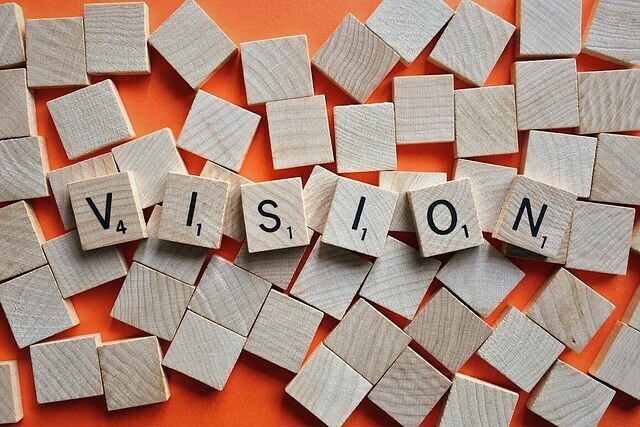 These examples illustrate that a vision statement is a practice’s road map of what it wants to become and provides the framework for all of its strategic planning. It is often referred to as the anchor or pinnacle point of a strategic plan. A vision statement is for the practice leadership and all members of the practice. Each member of the leadership team should read the following questions several times and think deeply about their responses. Ideally, responses should be recorded in as much detail as possible. Be very clear in describing, what is your practice’s purpose? What do you aspire for the practice to achieve? List all the core values of the practice? Culture – what is desired for the practice? What tenets form the foundation for how the practice operates as well as the physicians and staff? Determine which principles should guide decision making within the practice? Define what it is that your practice does well and how can it be built upon? First of all review your responses several times and continue to edit as you think about your vision for the practice. Next meet with the practice leadership team to review everyone’s responses. Allow time for an in-depth discussion of the responses. Write out several versions of a vision statement for your practice. For a vision statement to be effective the message should be clear, optimistic, and importantly realistic. Therefore, it should not be generic such as, “We will be the #1 practice in our specialty and strive for double digit profit growth in 5 years.” Because what does this mean or tell you? It should be short and concise, no more than two sentences. You want it to be memorable so everyone in the practice knows it and can repeat it. Make sure it is specific to your practice. Use clear language that everyone understands which alleviates misinterpretation. Remember it should be a reaching statement yet attainable for your practice in the future. Above all, the vision statement needs to align with the values of the practice as well as the practice’s team. Should I cast our vision statement in stone for future generations? No! Also, please note that successful companies’ mission and vision statements evolve over time to address changing organizational and industry conditions. What industry experiences more change than healthcare? Finally, craft your practice’s vision statement with an eye to the aspirational yet realistic future. Above all, remember to continue to modify it as your practice and industry dictates.